Arrested Development is one of my favourite series, and deserves much more exposure than the late-night slot that it was given by the BBC. Arrested Development - Season Two is released today. If you've not seen the series, and fancy taking a chance on it, you can get the Arrested Development - Season One for a bargain £12.99 from Play.com at the moment (it's part of Fox's promotion of Season One box sets). The Lost competition has been extended, but it may be replaced some time this week. 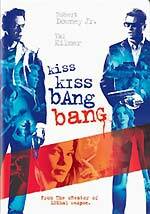 Shane Black's quirky crime caper movie Kiss Kiss Bang Bang struggled to find an audience, but was a critical hit, and looks likely to build a loyal cult following. The movie, which stars Robert Downey Jr as a petty thief who is teamed up with a hard-hitting private eye known as "Gay Perry", played by Val Kilmer, after stumbling into a Hollywood casting session, will be released on DVD by Warner Home Video, on March the 13th. The film will be presented in 2.4:1 ratio, with Dolby Digital 5.1 audio. If there any bonus features, they weren't mentioned in the press release. The RRP is £17.99. There hasn't been an official announcement about a Region 1 edition of the film yet, but it's expected on April the 25th, on DVD and HD-DVD. The film was poorly supported by Warner during its American theatrical release, and it's rumoured that there's some animosity between Black and the studio. This may mean that there won't be any bonus features on the US DVD, either. Revelation Pictures will release The Tomorrow People - The Complete Series on March the 20th. The sixteen-disc set will include a new bonus disc containing an exclusive interview with cast members Peter Vaughan-Clarke, Nigel Rhodes, Mike Holoway and Nicholas Young. The bonus features from the individual discs, (including the infamous commentary tracks) will be carried over in the new set. The set will be a limited edition release of five thousand copies. (Revelation predict that this will be on sale for well over a year). The RRP is £99.99. The press release includes some revealing sales figures that might interest some of you. Many fans have vastly inflated ideas of what particular titles sell, so hopefully these figures will help give some perspective! 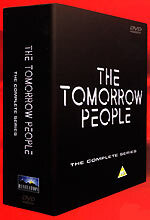 The Tomorrow People series has sold more than 51,000 units so far (on DVD and VHS). I don't know if this includes the mid-90s VHS releases from Video Gems. It apparently includes sales of the The Tomorrow People - The Complete Series set. I'm not sure which of the many Thunderbirds DVD releases this refers to - probably the latest re-release (only). Presumably one of the Complete Series... sets - series four hasn't been released yet. The recent Network set, I would think. The 1990s follow-up The Tomorrow People - The Complete Series, which is currently available exclusively in Virgin, will be released to the rest of the trade on March the 20th. 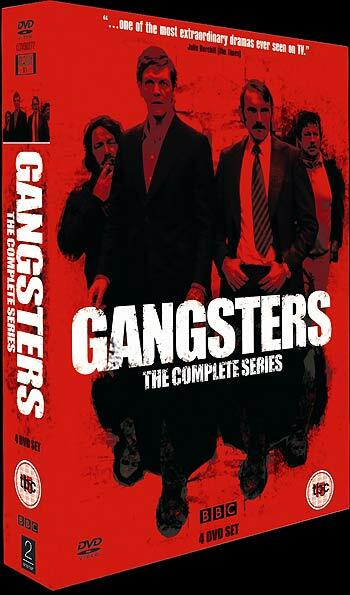 The five-disc set contains all three series (five stories, totalling twenty-five episodes). The RRP is £34.99.